If you’re hosting an event, managing a construction site, or planning a function, and you’re searching for dependable Cumberland County portable toilet rental, call on Starr Septic Services. Starr Septic is based nearby in Franklinville, and we provide a variety of septic services to residents and businesses in Cumberland County. 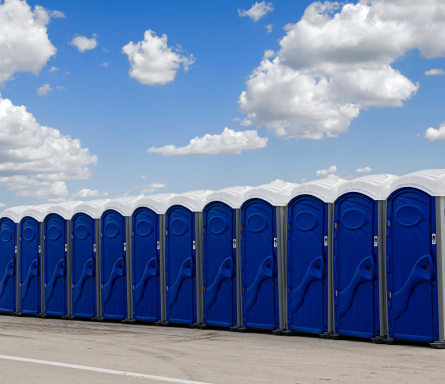 Portable toilets are necessary to keep an outdoor area clean and sanitary when accommodating large crowds. Whether you need portable toilets for a single day event or a long term monthly rental, you can count on Starr to deliver modern, clean, and affordable portable units to your site. If needed, you can request ADA-compliant units or hand wash stations. For long term rentals at construction sites, or in municipal areas with high volume, we offer septic pumping services to keep them clean, empty and usable. We’ll also keep them stocked as necessary with paper and other sanitary products. At Starr, we have the flexibility of being a local company, and we can adapt your agreement to changing needs. Need more than just a couple of units? If you’re hosting an extra-large event, or you are managing a site for a lengthy period, try one of our on-site restroom trailers! Our trailers have additional creature comforts, including running water, actual toilets, sinks, and private areas for men and women. The portable restroom trailer is ideal for larger gatherings, including corporate fundraisers, concert events, or long-term construction projects. Make sure that you’re prepared for your event. Contact Starr Septic Services using this form today for a free quote, or call us at (856) 875-5020 to tell us about your Cumberland County portable toilet rental needs. Be sure to ask about discounts for longer term rentals too…contact Starr today!